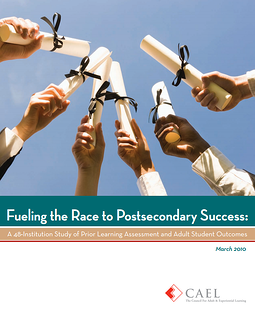 IMPLEMENT PORTFOLIO ASSESSMENT WITH LEARNINGCOUNTS TO HELP YOUR ADULT STUDENTS SUCCEED. 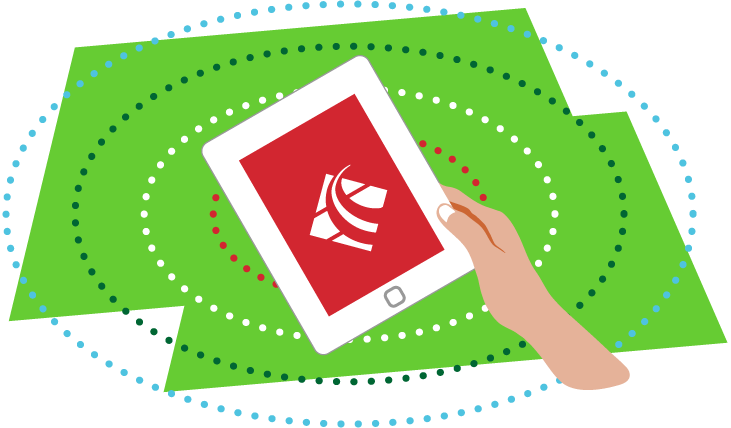 The LearningCounts online portfolio assessment service offers an opportunity to scale up and modernize your PLA offerings. LearningCounts provides PLA support that includes student guidance that inspires participation, a huge network of trained faculty assessors and access to promotional tools to spread the word about the program. Reap the benefits of LearningCounts by becoming one of our Featured Network Institutions. 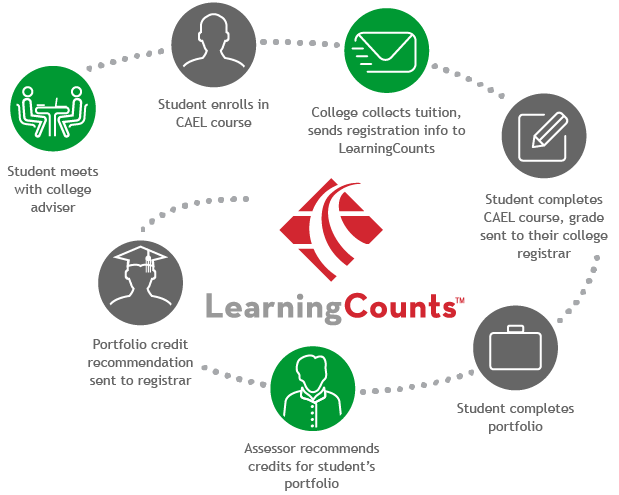 We help your advisors and admissions staff identify the best students for portfolio assessment and train them to recruit students for LearningCounts. For students ready to seek college credit via portfolio, we offer two courses: a three-credit, six-week course and a non-credit self-paced course. Portfolios are evaluated for college credit by trained faculty and credit recommendations are sent to your registrar. We help your team market PLA to students on your campus and leverage it to enroll more students. We provide a mobile-ready landing page, online credit predictor tool and leads from LearningCounts.org. Your account manager will always be a phone call away to help provide new strategies to increase student enrollment. 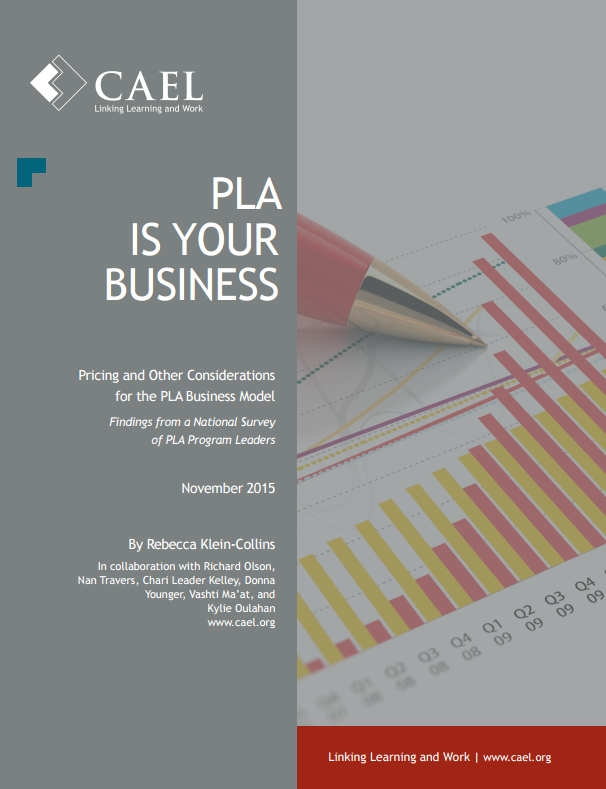 Your institution will become a CAEL Member with access to our exclusive PLA webinars and research along with a registration to our national conference. More than one in five American adults has some college credit and no degree. That’s over 36 million people. Did they try college? Yes. Will they need college? Yes.